SUVANA Smart Homes™ solution is a set of devices that work seamlessly and harmoniously to provide you with a comfortable, smart, safe and secure home. We leverage the latest advances in wireless and internet technologies to provide a home automation system that is intuitive, and is expressly designed for the Indian home. 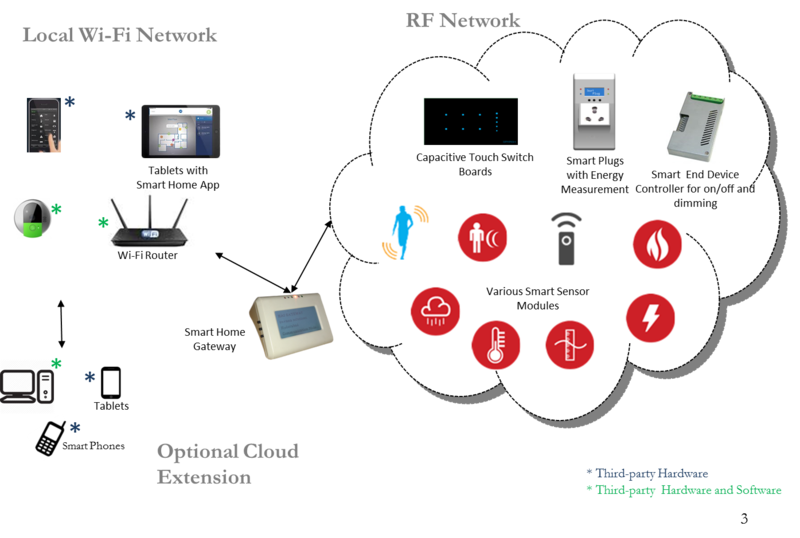 This integrated Smart Home Solution connects and brings all the home control and sensing elements to a centralised place and further provides extended accessibility across the globe.